Queen Anne residence for Beth Israel Synagogue which stood on corner until 1920's. Noted for Menorah-like brackets on columns. Location. 31° 6.169′ N, 91° 18.086′ W. Marker is in Woodville, Mississippi, in Wilkinson County. Marker is on Natchez Street South south of Bank Street, on the left when traveling south. Touch for map. 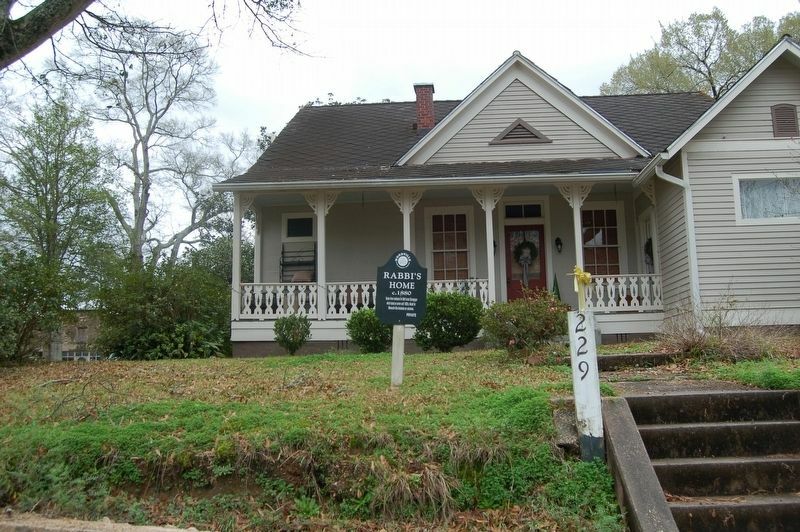 Marker is at or near this postal address: 229 Natchez Street S., Woodville MS 39669, United States of America. Touch for directions. Other nearby markers. At least 8 other markers are within walking distance of this marker. Old Christian Church Parsonage (a few steps from this marker); Beth Israel Synagague (within shouting distance of this marker); Branch Banking House (about 500 feet away, measured in a direct line); Woodville Blues (about 500 feet away); Lewis Family Cemetery (about 600 feet away); Wilkinson County Courthouse (about 800 feet away); Wilkinson County War Memorial (approx. 0.2 miles away); William Grant Still (approx. 0.2 miles away). Touch for a list and map of all markers in Woodville. More. 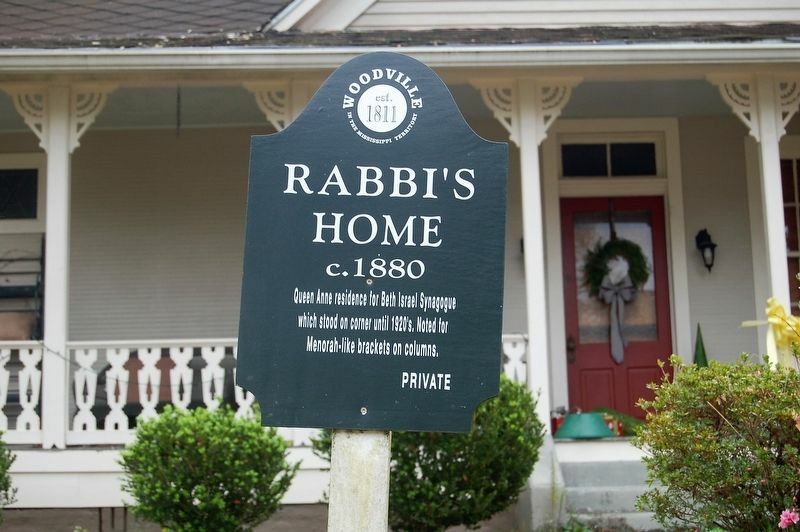 Search the internet for Rabbi's Home. Credits. This page was last revised on March 2, 2019. This page originally submitted on March 2, 2019, by Cajun Scrambler of Assumption, Louisiana. This page has been viewed 67 times since then. Photos: 1, 2. submitted on March 2, 2019.